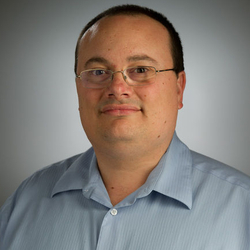 Antonio Delgado, a professor at the University of Notre Dame, has a passion for particle physics and for international collaboration. He was able to combine these interests through a trip to the University of Colima in early January. Delgado eventually envisions a pipeline of Colima students coming to Notre Dame. Notre Dame is already home to one former Colima undergraduate. Carlos Alvarado is a graduate physics student at Notre Dame working on theoretical particle physics. 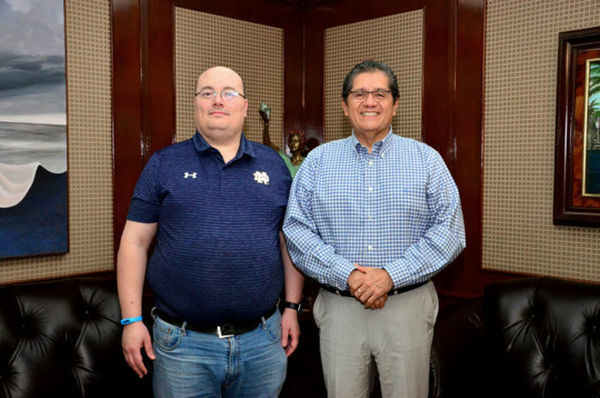 Colima President José Eduardo Hernández Nava, who visited Notre Dame in 2017, was pleased that Delgado made the trip to Colima to continue to build the relationship between the two institutions. During the trip, Delgado continued collaboration with Colima Professor Alfredo Aranda, whom he has worked with for many years. He also helped organize a workshop on particle physics where he answered questions and interacted with Colima students. Delgado hopes his visit builds momentum for a program that he considers valuable for the University of Notre Dame. “It fits with the mission of Notre Dame to help developing countries. It also helps build the relationship between Notre Dame and Mexico,” he said. To learn more about Delgado’s trip, please visit the University of Colima Television Facebook page or AFmedios (both in Spanish). Originally published by Nicholas Barella at science.nd.edu on January 26, 2018.